Heidi Turchan is a literacy specialist for Battle Creek Public Schools, has a Masters Degree in Reading/Literacy; is a Certified Academic Language Practitioner, a Certified Dyslexia Practitioner, a structured literacy instructor and the parent of two children with dyslexia. She is passionate about teaching reading to individuals with learning challenges and educating teachers, tutors and community members about learning disabilities/dyslexia and the learning challenges of at-risk students. Denise is a licensed speech-language pathologist who has worked in schools and private practice in the U.S. and the Middle East for over 25 years. She received a B.A. in Speech and Hearing Science from SUNY at Buffalo and a Master of Science In Education: Speech-Language Pathology at Buffalo State College. In her private practice, she provides resources and interventions for children with dyslexia and other language-based reading differences. Secretary Professor Tarrien joined the full-time faculty at WMU-Cooley Law School in 2013. He previously served as a visiting professor and Academic Resource Center (ARC) faculty supervisor at WMU-Cooley’s Grand Rapids campus since 2011. Professor Tarrien also served as a coordinator of the ARC in Grand Rapids 2003-2010 and as coordinator of the Michaelmas Professional Exploration Program. Professor Tarrien is active in community service. 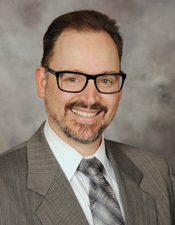 He is WMU-Cooley’s representative on the West Michigan Presidents Compact Committee and has been a member of the boards of directors for both the Dyslexia Center of West Michigan and Arts in Motion. He is the founder and current board president of Friends of Dyslexia Education for West Michigan Children, which raises funds for area reading programs. He has put together panel discussions of attorneys practicing in special education law, initiated an Individualized Education Program pro bono project, and started an elementary/middle school student court program with WMU-Cooley students. He previously served as vice president of the school board for St. Andrew’s School in Grand Rapids, and as a volunteer researcher for the Michigan Disability Rights Coalition in East Lansing. Director Anne Kloth is co-owner of Reading Success Plus where she is a Certified Dyslexia Consultant and Screener. She is trained in Lindamood Phoneme Sequencing (LIPS) and is a Barton Reading and Spelling tutor. Anne is a Founding Member of Decoding Dyslexia-Michigan, a grassroots advocacy and parent support group. She received her B.S. in finance and business administration from Chapman University. After an eleven-year career with Merrill Lynch, Anne made the decision to stay at home and advocate for her severely dyslexic son. Anne joined the Michigan Branch board in 2015. Director Shannon is a former middle school teacher with a passion for teaching dyslexic students. When her son was diagnosed with severe dyslexia, she switched her focus to dyslexia and founded Bright Minds Tutoring. She feels privileged to educate families about dyslexia while teaching her students to read, write, and spell. Shannon received her BA in Education from Smith College and her M.Ed in Educational Psychology from the University of Washington. Director Amy resides in Petoskey and is a literacy consultant for Petoskey Public Schools. Brandy studied at Lansing Community College, Indiana Wesleyan University, and Baker College of Owosso. Brandy found herself drawn to organizational management and completed her Bachelor’s degree in Business Administration. She’s a lifelong learner (nerd) and enjoys taking classes, attending seminars, and collaborating with others for the purpose of gaining understanding and new perspectives. Brandy is passionate about helping those with dyslexia and their families. She understands the struggles associated with dyslexia and is committed to working alongside others to make an impact. She is grateful to work with such an amazing team of talented and dedicated individuals at the Michigan Dyslexia Institute and is honored to now serve on the IDA board of directors. When not at MDI, Brandy enjoys her time with her husband of 15 years, 13-year-old son, dog, and cat, as well as her family and close friends. Jen resides in Sault Ste. Marie and is in private practice at A Therapy World & The Dyslexia Center and has an extensive background in behavioral health; including being a Registered Play Therapist; an Advanced Certified Children, Youth and Family Social Worker; a Certified Children’s Trauma Therapist; and a Certified Advanced Alcohol and Drug Counselor. With my training in ADHD, the Autistic Spectrum, FAS/FAE and Dyslexia I have found many similarities, yet differences that have assisted me in differentiating diagnosing. I have worked within the tribal, medical, community mental health, social services, criminal justice, school and private sectors. Katherine Pegman is the former Director of the Children’s Dyslexia Center of West MI. She has worked with students with dyslexia for eight years. Katherine holds a master’s degree in Literacy Studies from Grand Valley State University and bachelor’s degree from Hope College in Elementary Education with a Language Arts focus. Through the Children’s Dyslexia Center, Katherine developed a passion for serving those with dyslexia and advocating for dyslexia awareness and education. Katherine is particularly interested in impacting undergraduate education of teachers to better address the needs of all learners and serve the most children as possible. Director Dr. Radtke-Rounds is a fully licensed clinical psychologist practicing in Brighton, Michigan. She provides comprehensive psychological evaluations, with a focus on diagnosis and treatment of a variety of neurodevelopmental disorders, including, ADHD, Dyslexia, Nonverbal Learning Disorder, Anxiety, and Autism Spectrum Disorder. She is a member of IDA and will join the Michigan IDA Board in January of 2019. Director Nancy Williams is the Center Director of Children’s Dyslexia Centers, Inc. of Bay City. She holds a graduate degree in Reading Specialty and an undergraduate degree in Special Education. Nancy is a trainer of the Orton Gillingham method of reading instruction. She has worked individually with dyslexic students for nine years and is the mother of a dyslexic child. Her desire is to increase awareness of the struggles facing students with dyslexia and training as many individuals as possible with the tools to help those students.